Business law and commercial litigation in Bladen, Brunswick, Columbus, Robeson and New Hanover County. 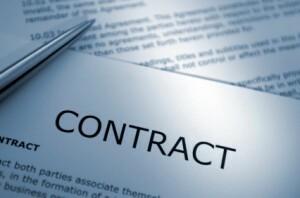 Business law, specifically related to commercial litigation, takes place when two or more businesses or a business and an individual have a dispute over property, money or other business related issues and cannot reach an agreement through discussions or negotiations. When both parties cannot reach an agreement they typically hire commercial litigation lawyers to represent their interests and bring the issue to resolution. The majority of these issues can be avoided by setting up your business, contracts and hiring documents properly with strong legal advice when forming your corporation, partnership or LLC. If you didn’t have protective documentation, planning or if the commercial litigation issue could not have been prevented; rest assured that our team of experienced commercial litigation attorneys can help. We have the experience required to offer expert legal advice and counsel for a wide range of business and commecial litigation issues. Contact us for a free consultation.